We begin with Allah’s blessed name. We praise and glorify Him as He ought to be praised and glorified. And we pray for peace and for blessings on all His noble Prophets and Messengers, and in particular on the last of them all, the blessed Prophet Muhammad. The last Prophet warned that “before the Last Hour there would be great liars – so beware of them” (Sahih Muslim). We recognize this to be the Last Age, and we seek refuge and protection with Allah from the international bullies who hid behind a mountain of lies and deception in order to plan and execute the 9/11 attack on America, as well as the 7/7 attack on London (i.e., July 7th, 2005), and to then put the blame on innocent Muslims. They did so, the first time, in order to exploit the opportunity to brutally attack and colonize Afghanistan and Iraq (while again hiding behind a mountain of lies) and to take control of Iraq’s great rivers of water and huge oceans of oil. This second time around the attack is on the religion of Islam itself, the institutions of Islamic learning, and the rightly guided scholars of Islam. We must now prepare ourselves for attacks on scholars of Islam who would be defamed as homosexuals, or exposed in manufactured photographs of them in bed with prostitutes. We can expect concocted emails or false tape recordings of fictitious telephone conversations with terrorists, or illegal drugs planted in their homes. We are targeted by enemies who have already assassinated the illustrious scholar of Islam, Prof. Dr. Isma’il Faruqi, and the courageous Muslim rulers, King Faisal bin Abdul ‘Aziz of Saudi Arabia and General Zia-ul-Haq of Pakistan, and who removed Pakistani Prime Minister Nawaz Shareef from office in a plot that is still unraveling, and who will use any means in pursuit of their goal of ruling the world from Jerusalem. May Allah protect us from the skillful enemies who infiltrate the ranks of Muslims (including Islamic websites) and seek to discredit our scholars and writers who dare to expose the lies and deceptions involved in the ongoing so-called war on terror. And may He protect us from the cowardly, shameful and despicable acts of terrorism which kill innocent people, and for which innocent Muslims are then blamed. Amin! The blessed Prophet prayed to Allah Most High and asked: “Oh Allah (kindly) show me truth as truth and grant that I might follow it, and (kindly) show me falsehood as falsehood and grant that I might reject it.” We also pray for eyes with which to see so that we may be protected from the blindness of those blind scholars of Islam who swallow all the lies of which the blessed Prophet warned, and who then lustily join in the unjust chorus that defames innocent Muslims. They are a people who would never recognize or admit that the imposter Euro-Jewish State of Israel has been the major beneficiary of the so-called ‘war on terror’ and the acts of terrorism for which Muslims have been blamed. Yet those scholars offer themselves (doubtless with the blessings of the British and American governments) as spokesmen for Islam and as guides for Muslims in the present age. The blessed Prophet condemned certain Islamic scholars as “the worst people beneath the sky” (Sunan Tirmidhi). He was surely referring to them. Muslims should avoid them the way they would avoid a plague. Allah Most High has chosen to begin the Qur’an with a statement concerning believers, disbelievers and hypocrites. He has informed us that He has sealed the disbelievers’ hearts, as well as their hearing, and that He has placed veils before their eyes in consequence of which they are a people who have ‘eyes’ and yet cannot see, ‘ears’ and yet cannot hear, ‘hearts’ and yet cannot perceive the truth (Qur’an, al-Baqarah, 2:7). In addition, Prophet Muhammad has warned of the coming of an age in which “there will be wrong beliefs which will blind and deafen men to the truth” (Sunan Abu Daud). There are those who would read this essay and be totally opposed to all that is written in it. They would perceive no truth at all in it since they are totally incapable of perceiving truth, either because their hearts are sealed, or because they are totally brainwashed. The British, American and Israeli governments and the media houses that they control are like that, and it is precisely such people who now control, among so many others, the Pakistani government. They even have Islamic scholars who dance to any tune that they play! And then there are others whose hearts are still alive and who are receptive to truth. They will easily recognize the truth in what we have written, and would be keen to further embellish that truth with further inputs, observations and analysis. And if they discover anything in this essay that is incorrect they would seek to correct it without detracting from the truth that they have discovered elsewhere in the essay. This essay is written for such people. The last time that the cow jumped over the moon, on September 11th 2001, it took just a little time before most Muslims were able to see and recognize the extraordinary fiction in the official explanation of the event. They knew very well that the actual murderers who would be hauled up in Allah’s court on the Day of Judgment to answer for the murder of thousands of people at the Twin Towers in New York, would be people other than the ones who were officially blamed for that evil deed. Few there were who expected that the cow would jump over the moon yet again, as it did in London on July 7th 2005. Faith in Islam gives to Muslims the assurance that lies and falsehood can never survive forever, and that truth would one day prevail over fiction, and righteous conduct over wicked evil deeds. There is an evil storm blowing through the world today, and it is sweeping into the hellfire all those who do not have a firm grip on truth, and do not display righteous conduct. The world is today controlled by a godless power the likes of which history has never previously witnessed. In consequence of the relentless attacks of that evil godless power the world today can be likened to a ship that is sinking with all of mankind on board, mysteriously globalized for the very first time in history as one society, with no one capable of preventing it from sinking. The amazing thing is that very few amongst mankind have eyes with which to see and recognize that the ship is sinking, while the overwhelming majority, particularly those who control newspapers, television and radio, either transport others or are themselves transported to a view of the world that obscures and conceals that grim reality. The difference in the external world between a so-called free democratic civilized ‘appearance’ and the brutal godless ‘reality’ of the greatest slavery of all has never been greater! For their amazing sophistication with which they dazzle and seduce mankind, their unprecedented and ever increasing power with which they control and rule mankind, their monstrous evil with which they brutalize and oppress mankind, and their awesome powers of deception with which they deceive, misguide, corrupt and destroy, the godless evil powers that today control the world are unique. In fact it is Islam that can guide us to that ‘reality’ with which we can recognize and understand Gog & Magog as well as Dajjal, the false Messiah or Anti Christ, as the godless evil powers who have the world firmly seized today in their destructive grip. This writer has made an effort to explain these two very important subjects (i.e., Gog & Magog and Dajjal, the false Messiah or Anti Christ) in his book entitled ‘Jerusalem in the Qur’an – An Islamic View of the Destiny of Jerusalem’. They form part of a larger subject, i.e., ‘Signs of the Last Day’, that must be studied with the greatest care possible if one is ever to understand the world today and, in particular, the Euro-world-order’s so-called ‘war on terror’. Also, it is that book which provides most of the proofs that support the basic claims made in this essay. Exactly as declared in the Qur’an, in Surah al-Kahf, and as prophesied by Prophet Muhammad (peace be upon him), those godless evil rulers of the world are increasingly terrorizing mankind (the term used in the Qur’an is Fasad) and, in particular, Muslims. But they devote their greatest oppression for Arab Muslims, and the Prophet prophesied that as well. • They commit acts of state-sponsored terrorism and then justify them as the legitimate use of force against those whom they falsely accuse to be terrorists. • Sometimes they commit by stealth spectacular acts of terrorism against their own people, as in New York, for example, and then maliciously put the blame on Islam and Muslims on the basis of false evidence that they themselves skillfully, and sometimes less-than-skillfully (e.g., the passport), manufactured. • establishing secret prisons around the world, and especially in Europe, where innocent Muslims with a profile of resistance can be imprisoned without due process and even tortured. Eventually some Muslims are driven to such a state of anger and frustration that they retaliate by hitting back at their tormentors with acts of terrorism. Those Muslims are then caught and that, also, gives to the godless evil rulers of the world added ammunition with which to escalate the war on Islam while hiding behind a smokescreen. We do not as yet know the profile of terrorism to which the recent July 7 attack on London belongs, but we do know that it could be any one of them. I suspect that all four young men who have been linked to the explosions as suspects were framed and murdered. And since dead men do not speak, these four innocent Muslims cannot defend themselves. The deception weaved on the occasion of 9/11 was so clumsy that it took little time before people saw through the lies in the official explanation of the event. But the deception that is now unfolding on the occasion of the attack on London is slightly more sophisticated. That should not surprise Muslims since, after all, Britain is the island spoken of the Hadith of Tamim al-Dari (see section entitled ‘The Island is Britain’ in Chapter 8 of ‘Jerusalem in the Qur’an’), and that Hadith describes the capacity for spying (hence deception) that the island possesses. But we Muslims believe that the earth itself will one day speak and will reveal all secrets that are now hidden from the public. On that day when deception is exposed and the truth is revealed, he who laughs last will laugh best! Nor do we as yet know who was responsible for the July 12th attack in Port of Spain in my native island of Trinidad in which a “low level” explosive device was dropped into a garbage bin in the business heart of the capital city. About a dozen people—mostly street vendors and passers-by—were injured when it exploded. This incident occurred just after the London attack and appears to have been timed to exploit to advantage the avalanche of anti-Muslim propaganda that followed the London attack. There are many blood-sucking predatory rich in Port of Spain who, like their comrades-in-blood elsewhere, live in fear of Islam’s uncompromising commitment to justice and to the struggle for the liberation of the oppressed. They are precisely the kind of people who would identify with today’s slave masters of the world, and who would enthusiastically join them in their war on Islam. They remain the prime suspects in the attack on Port of Spain. Their immediate objective appears to be the creation of conditions that would facilitate the passage of anti-terrorism legislation in Trinidad and Tobago. WHO IS WAGING THE WAR ON TERROR? WHO IS ‘ABDOOL? I had warned one year ago that an act of terrorism could take place in Trinidad for which manufactured evidence would eventually emerge that would put the blame on Islam and Muslims. Sure enough a letter was discovered in a shopping mall just after the explosion in Port of Spain, in which the writer claimed responsibility for the explosion and warned of more to come. And it was signed ‘Abdool’ (also spelt as ‘Abdul, i.e., ‘slave of’, which could be part of an Arabic name such as ‘Abdullah, i.e., slave of Allah)..
• ‘Abdool was paid by the CIA or the Israeli Mossad to become ‘Abdool, etc. Who is ‘Abdool? is a question we want to have answered since the use of the name ‘Abdool was surely meant to defame Islam and Muslims! Sufficient time has elapsed since the 9/11 attack on America for our readers to clearly recognize that the official explanation of that event has more holes in it than Swiss cheese. Numerous Internet websites provide more than enough information in the form of indisputable facts and analysis based on those facts to cast grave doubts concerning the truth of the official explanation. Yet none of those facts and analysis is ever published in the mainstream media that is owned and controlled by those who support the establishment. They still would not publish such material despite the fact that the majority of American people are now of the view that their own government is telling lies in respect of the explanation of 9/11. It seems quite likely that the Israeli Mossad, collaborating with the American CIA, and masquerading as al-Qaidah, was responsible for the planning and execution of that monstrously evil 9/11 act of terrorism. The American government gleefully exploited a mountain of lies concerning 9/11 to launch their preplanned and unjust ‘war on terror’. In fact what was unleashed was itself a ‘war of terror’ waged ultimately on behalf of the Euro-Jewish State of Israel. Whoever dared to question the official version of the event, (i.e., that Arabs and Muslims were responsible for that act of terrorism), was quickly and shamelessly demonized as a terrorist! Firstly, the war is waged for the purpose of so demonizing Islam and Muslims with false propaganda that the hearts of those who swallow the lies and misrepresentation would be filled with hatred for Islam and Muslims. That universal hatred for Islam and Muslims would be of strategic benefit to Israel since Islam and Muslims now constitute the only significant force in the world resisting Israeli rule over mankind. Secondly, the war is waged with the objective of strengthening American control over the entire world, and in the process, of forcing the submission of mankind to a unique, irresistible and supremely evil Pax Americana that would, in fact, be a universal American dictatorship. Their goal is for USA, its ally, UK, and the rest of the Euro-world in Europe, Australia, Israel, etc., to be recognized as the absolute rulers of the world, and whoever resists Massa’s dictatorial rule would be forced to pay a horrible price for that defiance. That explains Haiti’s miserable plight! Thirdly, a world dictatorship is not possible unless mankind is first deprived of such fundamental rights as security of person and property, freedom of speech and movement, right to privacy and sanctity of home. Around the world today one of the basic characteristics of anti-terrorism legislation is its erosion of precisely such fundamental rights. As fundamental rights are taken away from the people, Police and the Military are given license to kill as randomly and with as much impunity as was the recent British Police killing of the innocent Brazilian. That innocent man was shot some five times in the head, apart from other bullets that hit his body. The British Prime Minister has, of course, apologized for the tragedy, but he is yet to announce any change in policy that would prevent more murders of such innocent people. This constitutes the most despicable form of terror! Fourthly, the war ‘of’ terror and ‘on’ terror is designed to not only intimidate those who denounce the unholy British/American/Israeli alliance of state-sponsored terrorism, particularly in the Holy Land, but more significantly, to drown out their voices. Around the world today, newspapers, radio and television participate with enthusiasm in that manifestly undemocratic conspiracy to deny a voice to Islam in particular, and to those in general who challenge the dictatorship. More than that, the media is used to broadcast maliciously concocted propaganda that defames Islam. Even if a thousand ‘manufactured’ Bin Ladin recordings (or those of his manufactured deputy) were to mysteriously appear at convenient intervals, Al-Jazeerah television would punctually and dutifully broadcast them all without apparently making any proper effort to enquire into the shadowy and dubious origins of those recordings. And then the media around the world would punctually and dutifully reproduce the garbage and declare it to be news! When the public is inundated with only the slave master’s version of events, and other vastly different views are shut out, it is natural that many would eventually forget about all the inconsistencies and accept falsehood as truth. The true Muslim, however, would not be deceived. Fifthly, the war of terror performs the most strategic of all functions in arresting popular attention around the world at regular intervals with spectacular acts of terrorism (e.g., 9/11 in 2001 and the attack on London in July 2005), and in then diverting that attention away from the incremental slavery that is creeping upon the masses. It takes little effort to realize that vast numbers of people in the labor force today in many parts of the world cannot earn their livelihood, or earn minimum wages or less than that. Their numbers keep on increasing. Those who work for minimum wages are likely to remain forever imprisoned in such slave wages. The people of Africa appear to have suffered the most in this neo-slavery. Sixthly, the war on terror acts as a diversionary tactic with which to turn mankind’s attention away from the total breakdown of society that now looms ahead of us. Working women become absentee mothers, and children then grow up on television that programs them to live lives of promiscuity and violence. As the family unit disintegrates the world is increasingly transformed into Hell. Yet those who live off the blood and sweat of the masses skillfully conceal and gloss over all the evidence that hell has arrived (particularly for those who work for slave wages), and, instead, use parties, dances, carnival, mega sporting events, television and such marvels of technology as cellular phones to portray ‘hell’ as though it were ‘heaven’ itself. The Prophet prophesied that Dajjal the false Messiah or Anti Christ would come with “a fire and a river, but his fire would be a river and his river would be a fire”. Thus in all that concerned Dajjal, things would never be what they appeared to be. Indeed ‘appearance’ and ‘reality’ would always be different from each other whenever Dajjal attacked mankind. Seventhly, the war on terror is also meant to divert attention as Israel prepares to wage her great unjust war of territorial expansion that would pave the way for her to replace USA as the ruling state in the world and to be installed as the formal head of the universal dictatorship. Those who are targeted by the new slavery would be unable to offer any resistance to Israel’s monstrous oppression. I expect Israel’s great war to occur very soon. When it does occur it will validate in a spectacular way the proofs and analysis presented in ‘Jerusalem in the Qur’an’ and thus silence our critics who demand proofs, but would not read the book. Eigthly, the war on terror seeks to break the will of the oppressed to resist oppression even though the Qur’an commands such (Qur’an, al-Hajj, 22:39). What the slave master’s diabolically clever war on terror does is to demonize as terrorists all those who resort to an armed struggle. Finally, the war on terror is waged in pursuit of such goals as would so antagonize Muslims that they would eventually be driven to take up arms in defense of Islam. That would then be used to justify Israel’s great war. While there have always been dictators and imperial rule in history, our Islamic view recognizes this to be the first time ever that mankind is being subjected to such an absolute, universal and terrifying dictatorship. The war on terror is meant to pave the way for the final emergence of that dictatorship. Prophet Muhammad (peace be upon him) not only prophesied the emergence of a strange and irresistible Gog and Magog dictatorship, but also warned of its irresistible power, its injustice, oppression, decadence and evil. He also warned that it constituted the supreme test of all for mankind. This writer warns that mankind is now located at a time when that terrifying universal evil dictatorship is already showing its ugly head and that much greater evil would soon enfold the world. Prophet Muhammad spoke not only about the Gog and Magog world-order, but also about Dajjal, the false Messiah or Anti-Christ. Since Jesus, the true Messiah, must rule the world from Jerusalem with eternal rule, it followed that Dajjal, the false Messiah, in order to successfully impersonate the true Messiah, would also have to do the same, i.e., he must rule the world from Jerusalem (therefore from an imposter State of Israel) with what would appear to be eternal rule (‘eternal’ here appears to imply ‘rule’ that would last until the end of history rather than the end of time. Such ‘eternal rule’ would validate the claim to truth). “When you see the black flags coming from the direction of Khorasan go and join that army.” He went on to insist that Muslims do so “even if you have to crawl over ice, because no one would be able to stop that army until it reaches Aelia (i.e., Jerusalem)!” Khorasan is all that Muslim territory that lies East of the river Euphrates. And so Prophet Muhammad has prophesied that a Muslim army that comes out of Khorasan would liberate the Holy Land. But this command of the blessed Prophet to all Muslims to join that army would so stick in the throats of the Euro-world-order that they would eventually declare the blessed Prophet himself to be a terrorist. The blessed Prophet warned that Dajjal’s ultimate weapon, which he would use while pursuing his mission to rule the world from Jerusalem, would be to force mankind to betray Allah Most High by worshipping him (i.e., submitting to his rule over mankind) rather than the One God. That worship of other than Allah Most High would be blasphemy (Shirk), the one sin that He would never forgive. And it is in the context of Dajjal’s use of that ultimate weapon that a Muslim recognizes the American war ‘on’ terror to be actually a war ‘of’ terror that is master-minded by the false Messiah or Anti-Christ for the clear purpose of forcing the submission of the world of Islam to his absolute rule over them. The initial targets of the US-led so-called ‘war on terror’ are those Muslims who would take up arms to defend themselves, their wives and children, and their community, after they have been subjected to such aggression and oppression as the US-led occupation of Iraq and Afghanistan and the relentless ever-increasing Euro-Jewish oppression in the Holy Land. But beyond those initial targets, the ‘war on terror’ also seeks to demonize the institutions of Islamic learning that teach Muslims and inspire them with the Qur’anic guidance and the glorious example of the blessed Prophet. Since the Qur’an, itself has ordered the believers to resist oppression, even with armed resistance, the implication is that only those institutions of Islamic learning that abandon the Qur’anic guidance about resisting oppression will now survive. That second target of the war on terror is already under attack in Pakistan, Yemen, Syria, Saudi Arabia, etc. A government of Pakistan that is now shamelessly serving Israel’s interests, and is waging war on Islam, has just announced an unjust and manifestly sinful ban on foreign students studying Islam in Pakistani institutions of Islamic learning. 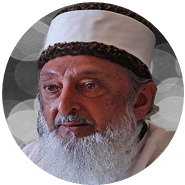 Yet this writer was himself educated in Islam at the Aleemiyah Institute of Islamic Studies in Karachi, Pakistan, under the guidance of the outstanding scholar of Islam, Maulana Dr. Muhammad Fazlur Rahman Ansari. It should not be difficult for the reader to anticipate that the overwhelming majority of Pakistanis who detest the Musharraf regime would eventually challenge that regime with their lives and that the Afghan/Iraqi/Palestinian armed resistance would eventually extend to Pakistan. At that time Muslims would see quite clearly the eventual fulfillment of Prophet Muhammad’s prophecy of that unstoppable Muslim army emerging out of Khorasan (i.e., all those territories east of the river Euphrates) that would liberate the Holy Land. The ultimate targets of the war on terror, however, are the Holy Qur’an, itself, and the blessed Prophet Muhammad (peace and blessings of Allah be upon him). Attacks on both these ultimate targets have already been launched through Internet websites established by the deadliest of all enemies of Islam, the Israeli Mossad. Denmark and the Pope in Rome have also joined in the attack on those targets. The only ones capable of defending Islam in the face of very public attacks on the Qur’an, and the person of the blessed Prophet that will eventually be publicly launched would be the authentic scholars of Islam. If they are demonized and marginalized and replaced by blind and misguided scholars who dance to the tunes of those who are waging war on Islam, then there will be no one capable of repelling attacks on Islam. (See Appendix 1 for examples of such attacks on the Qur’an, and on the person of Prophet Muhammad). I am a 65-year-old Islamic scholar who has devoted his entire life to the study and preaching of Islam and I, too, fear that there will be many more terrorist attacks in the world, such as that which occurred on 9/11 and, recently, in London, and that the acts of terrorism that are to come would also include even more state-sponsored terrorism, such as US-led terrorism in Afghanistan, Iraq, Guantanamo, etc., and Israeli terrorism in the Holy Land (otherwise referred to by the secular name of Palestine). The editorial quoted above either lacked the capacity to recognize such state-sponsored terrorism, or chose to remain conveniently and suspiciously silent on the subject. Around the world today a wealthy blood-sucking ruling class use their wealth to buy as many newspapers, radio and television stations as possible, and then put them at the disposal of their masters, i.e., the Euro-world-order, to pursue the war on Islam with such biased editorials and news reports. (Statement before the British Parliament on July 11th 2005). The British Prime Minister expressed profound pride in his British values of justice, fair play, freedom and democracy, but seems to have accepted an internet website’s declaration that Muslims and a fictitious organization (most probably a creation of the CIA/Israeli Mossad) called al-Qaidah were responsible for the attack on London. The funny thing is that his government would never dare to use that so-called evidence in any court of law anywhere on earth. Can the British government and the world media deny the possibility that the so-called al-Qaidah statement posted on the website claiming responsibility for the attack on London could have been be the evil work of the CIA/Israeli Mossad? In fact the Israeli Mossad could have given to itself the name of Al-Qaidah so that when the news media inform us that al-Qaidah was responsible for a particular act of terrorism that was really committed by the Israeli Mossad, the report would be correct! In any case, and in spite of all evidence that may now be discovered, it is only that evidence which can be successfully tested in court with which we should be concerned. If the British Prime Minister’s alleged ‘Islamic extremist terrorists’ were in fact responsible for the attack on London, they would seem to have had Britain’s interests at heart to such an extent that they were curiously concerned not to jeopardise Britain’s bid to host the 2012 Olympic Games in London. After all did the terrorists not take care to unleash their bombs only the day after the announcement that London’s bid was successful? Why is it that no mainstream newspaper, or other media, has so far commented on this very public and curious matter? I expect all forms of terrorism, including US-led state-sponsored terrorism, to intensify as the countdown for Israel’s great war of dramatic territorial expansion “from the river of Egypt to the great river, the river Euphrates” (Genesis: 15:18) approaches its climax. And, believe me, I fully understand the link between the two subjects, i.e., Israel’s great war, on the one hand, and acts of terrorism on the other which are clearly intended to promote Israel’s interests and to facilitate her success in that great war. Any unbiased reader (and we still have such people in the world) who reflects upon the consequences for Islam and Muslims of all the recent acts of terrorism that Mr. Blair was careless enough to mention in his statement before the British Parliament, can easily recognize that they have all advanced Israel’s messianic cause. I also expect that Islam and Muslims, who are the victims of relentless state-sponsored terrorism in the Holy Land, Afghanistan, Iraq, Guantanamo and elsewhere, would again and again be blamed for master-minding spectacular acts of terrorism that arrest the attention of the whole world. Evidence will be fabricated and Muslims will be convicted for crimes they did not commit. But I remain confident that the Euro-world-order’s so-called war on terrorism would eventually be universally recognized for what it really is, i.e., another Euro-Christian and Euro-Jewish crusade and therefore yet another unjust war on Islam and Muslims waged by the European rulers of the world on behalf of the Euro-Jewish State of Israel! The amazing thing about that pompous statement is that the Queen, who is head of state in that country, is also the religious head (i.e., head of the Church of England). And so, so-called Euro-Christians are now arrogantly assuming an authority to determine ‘true’ Islam, and a status that requires Prophet Muhammad to bow before them in humble submission to them. That ‘approved’ Islam would, of course, be a sanitized secularised cosmetic version of Islam that studiously ignores both the Qur’an, and Prophet Muhammad (peace be upon him), and forces Muslims into a state of submission to the rule of the Anglo-American-Israeli dictatorship over all of mankind. It is equally amazing to behold the otherwise sane Prime Minister of an essentially godless atheist Britain, with less than 4% of the population still attending church, making such statements concerning the great religion of Islam established by the great Prophet Muhammad. The British Prime Minister’s arrogance and audacity is amazing. But at least I feel happy that we do not have long to wait for dramatic events to occur in the world that would validate Islam’s claim to truth, as well as establish the voice of ‘true Islam’. Israel’s war of spectacular territorial expansion is just around the corner! The attention-grabbing proposed Israeli military withdrawal from Gaza is meant to camouflage Israel’s real military objective. When that great war takes place then so-called scholars of Islam, white, black, brown and yellow, who betray Allah and His Messenger by the support they give to those waging war on Islam, will be so exposed that even the blind would see and recognize them. But the war on Islam would then become so intense that the rightly-guided scholars of Islam would probably have to flee for refuge into caves (cf. Surah al-Kahf of the Qur’an). We should recognise the US-sponsored view of ‘Islamic’ terrorism as irreconcilible with Islam. It should be clear that there is more to today’s terrorism than meets the eye, and that Prophet Muhammad’s warning of the advent of the age of the ultimate ‘Massa’, i.e., Dajjal, the false Messiah or Antichrist, when ‘appearance’ would be opposite to ‘reality,’ has come to pass. We now live in an age in which ‘Massa’ has not only intensified his oppression of slaves but is also employing a devilish propaganda weapon to put the blame on them for slavery. No God-fearing Muslim who follows Prophet Muhammad would ever engage in acts of terrorism. And so, far from pronouncing ‘Massa day done’, we should rather recognize that Massa’s greatest day of deception has arrived! “. . . being put to death, or crucified, or by cutting off his hand and foot on opposite sides, or by banishment from his society”. This is by far the most severe of all divinely ordained punishments. And Muslims around the world would enthusiastically support any anti-terrorism legislation that prescribes such a divine punishment for the convicted terrorist. But we know that we will wait in vain for such legislation. “Oh you who believe (in this Qur’an), when a sinful (wicked) person conveys news to you (for example, that Arabs and Muslims and some fictitious ‘Islamic’ organization called al-Qaidah are terrorists and are responsible for acts of terrorism in New York, London, etc.) be sure to investigate the truthfulness of such news lest, in ignorance, you (are deceived by lies and you) blame the innocent and then live to regret and be full of repentance for what you did (by unwittingly joining the wicked war on Islam and the character assassination of innocent Muslims)” (note that my commentary of the verse is in italics). Now the British and American governments hid behind a mountain of absolutely shameless lies in order to justify their unjust invasion and attempted re-colonization of both Afghanistan and Iraq. The international news media which pedal those lies without any concern for ascertaining truth should never be taken at face value. In addition, it would amaze the reader to know how very little evidence (apart from statements posted on websites that would be inadmissible as evidence in any British court of law) has ever been produced and accepted in court confirming the truth of these allegations. Why do otherwise intelligent and rational people such as the Catholic priest, and the unknown writer of the Trinidad Guardian editorial cited above, act in this manifestly ignorant and wicked way? In my book entitled ‘Jerusalem in the Qur’an – An Islamic View of the Destiny of Jerusalem’, I have used the Holy Qur’an and the prophesies of Prophet Muhammad (peace be upon him) to recognize the present to be the Last Age. The book also anticipates that this age will soon culminate with the return of the true Messiah, Jesus, the son of Mary. Many believers now alive would probably live to not only see Jesus when he returns but, also, to experience life in a wonderful new world that would be totally different from this world that relentlessly oppresses and terrorizes Muslims. ‘Truth’ will triumph over falsehood, and ‘faith and justice’ over ‘godlessness and oppression’. The injustice and oppression of today’s godless world can be readily recognized in the economic imprisonment of the poor of the world in permanent poverty. The Prophets of old had prophesied the coming of the day when “the little that the poor possess would be taken from them.” The entire African continent now lies in economic ruins in consequence of the Euro-world order’s insatiable greed. My book entitled ‘The Prohibition of Riba (i.e., usury) in the Qur’an and Sunnah (i.e., way of the Prophet)’ explains today’s economic oppression that has been mercilessly unleashed upon non-European humanity by the present Euro-rulers of the world. There is also manifest injustice and oppression in America’s military occupation of Iraq and Afghanistan. In both cases a Muslim people are waging a heroic struggle to rid themselves of cruel and sadistic occupying forces, who are bent on inflicting religious and sexual humiliation upon those who adamantly refuse to submit. It was greed, as well as the pursuit of an imperial quest of control over oil to force the submission of mankind to their rule, that were the primary motives for the Euro-world-order’s efforts to re-colonize Afghanistan and Iraq. Even before President Bush launched his war on Iraq Nelson Mandela and South Africa’s African National Congress had denounced both him and his war. Mandela condemned him for his “arrogance” and declared that the war to be waged on Iraq was “a war for oil”. I was there in Johannesburg, South Africa, that sunny February morning two years ago (2003) when I joined in the massive ANC march in protest against the war on Iraq. And who can now deny the quiet visible state-sponsored terrorism manifested in the barbaric incarceration and torture of innocent Muslims in virtual concentration camps of Guantanamo and who-knows-where-else. rain falls, and take with him some sheep and goats, in order to preserve his faith (in Islam)”. Most ominous of all was his prophecy that “. . . the nations of the world would gather against you as do hungry people feast on food”. It is in the context of the fulfillment of the Prophet’s prophecies and, in particular, the war on Islam waged by those who control power in the world, that we should understand the subject of so-called ‘Islamic terrorism’. The strangest and saddest aspect of the ‘war on terror’ is that the richest nations of the world wage war on the poorest of the poor. (Afghanistan is one of the poorest countries in the world.) The master plan appears to be to use Riba (usury) to reduce to poverty and destitution all those who resist Dajjal’s rule over the world. Riba is not only the lending of money on interest that results in creditors living off the sweat of debtors, but it is also transactions based on deception that yield a profit or gain to which one is not justly entitled (i.e., a rip-off). The greatest rip-off that mankind has ever had the misfortune to experience is that which has taken place through the substitution of real money having intrinsic value (such as gold and silver) with artificial money having no intrinsic value (such as paper currency and electronic money). Even stranger is the fact that those rich nations who wage the so-called ‘war on terror’ are themselves the perpetrators of state-sponsored terrorism, complete with torture chambers, which they mercilessly inflict upon the poor. For example, the American CIA abducted an Italian Muslim Imam who, like this writer, was critical of US military occupation of Afghanistan and Iraq. (We, scholars of Islam, eke out a very modest livlihood.) He was then spirited out of Italy to Egypt where he was shamelessly tortured by the US-supported Egyptian regime. He was eventually released because of his Italian nationality. He then responded by suing the US government, and this was an exceptional response because most scholars of Islam today cannot afford to sue anyone. The Italian government responded with mild criticism of its ally in the so-called ‘war on terror’ for that embarrassing covert operation on Italian territory that was itself an act of terrorism. Another strange thing about major acts of terrorism such as those of 9/11 is that they always occur at the most opportune time to deliver significant benefit to one or the other of key players in the game whose fortunes may be sagging. And the massive propaganda offensive that usually followed in the wake of such acts of terrorism usually resulted in a reversal of fortunes for those key players. One week before 9/11, for example, the State of Israel was roundly condemned for its oppression by the entire world gathered at the UN World Conference on Racism held in Durban. The isolation was so complete that Israel and USA walked out of the conference. One week later, after 9/11, it was the innocent Arab victims of Israeli oppression who were blamed for the act of terrorism and who were so completely demonized in the world media that they replaced Israel in that state of total isolation. Again, just before the London attack both the UK and the US governments were losing public approval largely because of the unjust war on Iraq. That dangerous loss of public approval has now been dramatically and completely reversed. When, eventually, they run out of options for ‘convenient terrorism’ they then abandon their unpopular leaders and bring fresh new faces as leaders who would so excite people that they would forget the past. The esteemed Shaikh and spiritual luminary of early Islam, Shaikh ‘Abd al-Qadir al-Jilani (may Allah have mercy on him), once described mankind as comprised of four kinds of people. The first are those who have Allah Most High neither on their tongues nor in their hearts. Today’s godless and secular Euro-worldorder that has largely accepted materialism are precisely such people. They are a people who, despite intelligence and expertise, have a status equivalent to “cattle”. The Shaikh advised that, apart from inviting them to the religious way of life, believers in Allah Most High should stay away from such people. The second are those who have Allah Most High on their tongues but not in their hearts. They are the worst and most dangerous of men. And they produce a stench that envelops those who kept their company. Believers should therefore avoid such people the way that they would avoid a plague. Yet these are the men who have today become leaders of the Muslim world, and of communities even here in Trinidad. The third is comprised of those who have Allah Most High in their hearts but not on their tongues. They were the sincere but silent servants and friends of Allah Most High. The Shaikh advised that believers should keep their company and help and support them in whatever way possible – for such conduct would earn Allah’s pleasure and blessings. Finally there are those who have Allah Most High both on their tongues as well as in their hearts. They are the best of all men. A man who belongs to that category would be a prince among men. I was the student of such a man. The Shaikh warned that no one should ever stand in the way of such a man to obstruct him or to wage war against him. The consequences of such conduct would be utterly disastrous. The Anglo-American war ‘on’ terror has increasingly proved to be a ‘war on Islam’. But it is also a war ‘of’ terror that is waged by those who are clearly ‘the worst of all men’, and it has unleashed terror ultimately against ‘the best of all men’, the rightly guided scholars of Islam. The war on terror seeks to intimidate and silence them. But it does so with awesome deception by portraying the ‘worst’ of men as the ‘best’, and the ‘best’ of men as the ‘worst’. Those who are deceived, and who join in that Anglo-American war that oppresses the best of all men, would pay a truly horrible price with Allah Most High for that awesome mistake. May I suggest, before I end, that the gentle reader revisit what I wrote in response to 9/11, i.e., ‘A Muslim Response to the Attack on America’. It was written in December 2001 while I was on tour in South Africa and Malaysia. I believe that the analysis and commentary in that essay has stood the test of time and remains valid to this remarkable day in which most Americans now reject the official explanation of 9/11. Let us pray that Allah Most Kind may protect us and our brothers, the scholars of Islam, from enemies who seek to demonize, terrorize, muzzle and silence us. Amin. Praise is due to Allah. There is no God but He! Let us give the reader an idea of what kind of ultimate attacks we can expect. Firstly, there are translations of the Qur’an that are incorrect and defective, and are yet in popular use. These are usually translations in European languages such as English. The translator’s mistake is usually the result of inadequate knowledge, defective methodology employed for understanding the Qur’an, or his western secular education that obstructs him from understanding a particular verse of the Qur’an. Enemies of Islam who seek to misrepresent the Qur’an then pounce upon such mistakes to derive advantage from them in their propaganda warfare on Islam. Here is an example. In fact the verse admits all the possible meanings of the word ‘wali’ and not, as Asad would have us believe, only ‘alliance’. Hence it prohibits Muslims from turning to Jews and Christians for ‘friendship’, ‘help’, ‘protection’ and ‘alliance’. Both translations of the verse quoted above are dangerously defective. The original Arabic text of the verse does not state: “they are but friends and protectors to each other” (Yusuf Ali), or “they are but allies of each other” (Asad). What the verse actually states is that “when Christians and Jews become friends and allies of each other then Muslims are prohibited from maintaining friendly relations or becoming allies with such Christians and such Jews (not all Christians and all Jews)”. This meaning escaped even classical commentators of the Qur’an who opined, lamentably so, that ‘some’ Christians are friends of ‘other’ Christians, and ‘some’ Jews of ‘other’ Jews, and this, presumably, explained the Qur’an’s prohibition of friendship with them. The verse is very clear when it identifies the Christians and Jews to whom it specifically refers, namely (only) those Christians and Jews who become ‘friends’ ‘protectors’ ‘helpers’ and ‘allies’ of each other — not all Christians and not all Jews! Now since Christians and Jews were never ‘friends’ of each other this was an extraordinary statement, indeed a divine prophecy, which anticipated a future time when part of the Christian world (i.e., Euro-Christianity) and part of the Jewish world (i.e., Euro-Judaism) would become friends, helpers, allies and protectors of each other. And so Christianity consistently, and quite correctly so, blamed the Jews for the ‘crucifixion of Jesus, and that created hostility between the two religious communities. It is only in the modern age when Euro-Christianity was attacked and Europe was transformed into a secular society that the world witnessed the amazing fulfillment of the divine prophecy in this verse of the Qur’an. Euro-Christianity and Euro-Judaism joined together in a diabolical unholy alliance to conquer and rule the world, and to wage war on Islam in the process, and all of this in order to deliver the rule over the world to an imposter Euro-Jewish State of Israel – a state which they themselves created, and then seduced the oriental Jews (i.e., the Israelite Jews who are the authentic Jews) into accepting. • Finally the Qur’an is specific when it declares there is no prohibition on Muslims preventing them from maintaining friendly ties with any people who do not wage war on Islam and do not oppress Muslims by expelling them from their homes and their territory in which they reside (Qur’an, al-Mumtahana, 60:8). And so the verse of the Qur’an (5:54) does not prohibit Muslims from maintaining friendly relations with all Christians and Jews. Rather it prohibits friendship, and naturally so, with such Christians and Jews as are waging war on Islam and expelling Muslims (or assisting those who are doing so) from their homes and from the territory in which they reside. Again, the above does not constitute an indictment of all Jews. Rather it is applicable to those Jews who wage war on Islam and who expel Muslims from their homes (as has occurred in the Holy Land). There are numerous verses of the Qur’an such as the one quoted above that have been defectively or inadequately translated. As a consequence enemies of Islam find it convenient to exploit them to advantage. Another important example of the kind of attack we can expect on the person of Prophet Muhammad himself as the war on Islam climaxes is the matter of his marriage with Aisha (may Allah be pleased with her). Fabricated Ahadith on this matter have crept into even the most reliable collection of Hadith, i.e. the Sahih of Imam al-Bukhari. The cunning enemies, who have guidance from the evil mastermind himself, i.e., Dajjal the false Messiah, are already using fabricated Ahadith to wage war on Islam. There are Ahadith in Sahih Bukhari that declare that Prophet Muhammad married Aisha (radiallahu ‘anha) when she was six years of age and consummated the marriage when she was nine. We seek refuge with Allah Most High from such falsehood. And so it is false to say that the Prophet took a decision to marry her when she was six years of age. He did not. Secondly, no marriage ceremony could have taken place at the age of six since a marriage contract with a girl aged six would be invalid. Why so? This is so because a (virgin) woman in particular (as well as any other woman in general) cannot be married against her will and she cannot give her consent at an age when her evidence would be legally inadmissible. Even if the argument is raised that a marriage can be contracted with a six-year-old girl but with the proviso that she has the option to either confirm or reject the marriage when she reaches the age of puberty, our response would be that such a contract cannot be described as a marriage. Rather it represents an offer or proposal of marriage that can only be accepted at the time when the girl has reached the age of puberty. After the news was communicated in the dream that Allah Most High had chosen her as a wife for the Prophet, she remained with her parents until she reached the age of puberty. Sometime thereafter she was taken to live with the Prophet as his wife and it was at that time that the marriage was consummated. There can be absolutely no objections to such consummation of a marriage on the part of believers who worship the One God since He, Allah, Himself waited until Mary had reached that age, i.e., the age of puberty, and then sometime after that He caused her to experience the immaculate conception. All that now remains is for us to do is to demonstrate that girls in Arabia never reached puberty in normal circumstances at the age of nine, and that there is no evidence to support the view that this (the case of the blessed mother of the believers) was an abnormal case of early puberty. That would be sufficient to invalidate or, at least, to cast grave doubt on the authenticity of those Ahadith.